I’m not really sure why because I have a good life. I complain when I am frustrated with something. When it doesn’t go my way. I am pretty vocal in my complaints. Generally, my husband gets the brunt of them especially since I work from home. It could be an email that sets me off. Or a phone call with a client where we keep misunderstanding each other. Complaining has become a habit. A habit that when I think of quitting makes me wonder what I will put in it’s place. 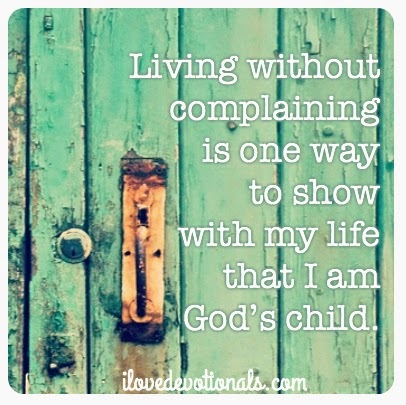 I started searching the bible for scriptures I could memorise and learn to say when I feel like complaining. If I needed motivation to quit complaining this verse was it. Today, I’m starting my #1DayWithout project. I am going to go the whole day without complaining. Then on Friday, I’m going to wake up and try do it again until I break the habit of complaining. I don’t expect it to be easy, and I expect I’ll probably have to clap a hand over my mouth more than once, but I do hope it will be transformative. I know that will need to embrace my choice to stop complaining. I will have to work at memorizing a bible verse when I would rather open my mouth and vent. I’d like to invite you to join me. Maybe you don’t need to go #1daywithout complaining. Maybe you need to go #1daywithout gossiping or #1daywithout saying mean things. Whatever it is, why not try it for one day and see how your day goes. 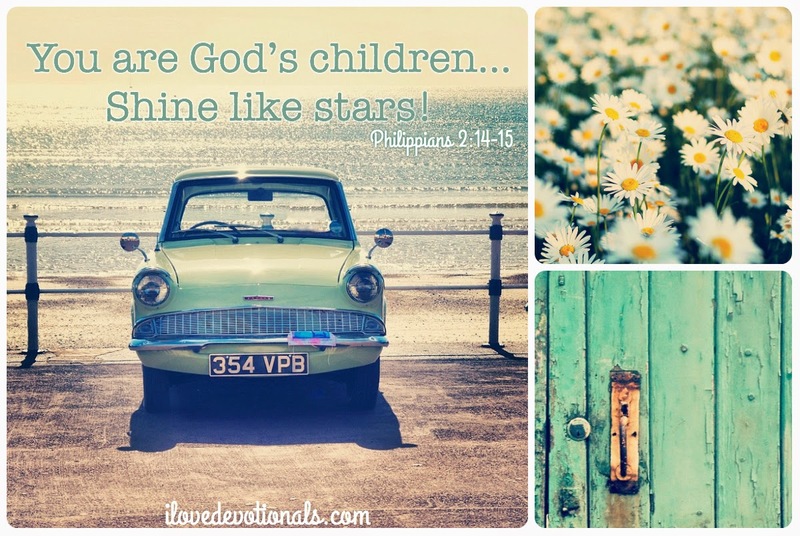 Ponder: What, if you went #1daywithout it would show with your life and actions that you are a child of God? Prayer: Jesus, I need you to help me break this habit. Give me the strength to follow my choices with actions. Amen. 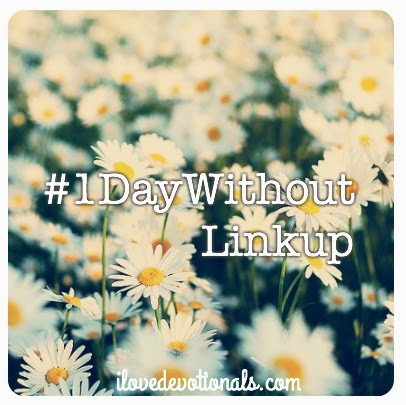 I’m trying my first blog link-up so if you want to share your #1daywithout story make sure to link-up through the button below. Be sure to link back to this post on your blog and thanks for participating.